Overcoming Overthinking | Kathryn H. Gordon, Ph.D. Note: If you have mental health concerns, please consult with a mental health professional for help. I have provided an introductory overview of rumination below with the hope of raising awareness about the research on rumination, but this does not replace the advice of a professional who personally knows you and your situation. Most of us have had the experience where we can’t stop thinking about something, no matter how hard we try . We might pick apart the situation to see what we could have done differently, try to analyze minutiae of the incident to figure out what it all means, wonder why it happened to us, and so on. Dr. Susan Nolen-Hoeksema referred to this process as rumination and defined it as “a method of coping with negative mood that involves self-focused attention” and “repetitive and passive focus on one’s negative emotions.” If you are interested in ways that researchers and therapists measure rumination, you can look at Nolen-Hoeksema’s questionnaire here. Though most of us ruminate from time to time, some people ruminate frequently, and people who do this are at higher risk for depression. In addition, our lab found a connection between rumination and elevated risk for binge eating, while others have found that rumination is associated with a tendency to cope through alcohol or drug use and nonsuicidal self-injury (intentionally hurting oneself without the intent to die, such as cutting or burning oneself). If you tend to ruminate, you may have experienced people telling you to just stop overthinking a situation and move on. For many people, this is easier said than done. Fortunately, Dr. Nolen-Hoeksema offered suggestions for decreasing rumination. I will list the main ideas below, but I highly recommend reading her books for details (1, 2). 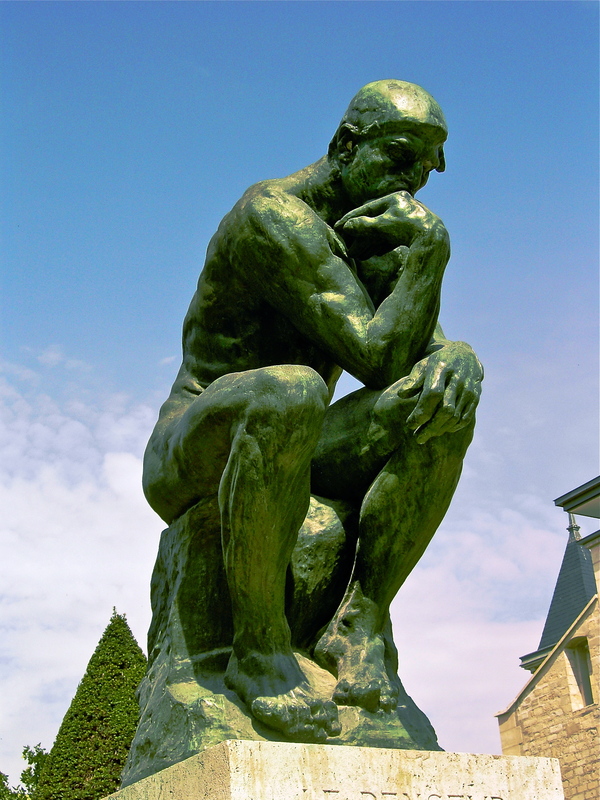 Recognize that rumination is different than problem-solving or planning. Problem-solving and planning are active coping strategies, while rumination involves rethinking situations, analyzing them, and replaying them without forming an action plan or feeling a sense of resolution. Sometimes simply recognizing that you’re ruminating can be a helpful first step toward decreasing it and getting on a different track. Research suggests that distraction can also help to reduce it. Because the pull of rumination can be strong, Dr. Edward Selby suggests specifically selecting activities that are highly engaging and positive, so that they effectively shift your attention from overthinking. Examples may include vigorous exercise, taking a hot shower, doing a crossword puzzle, holding an ice cube in your hand (a suggestion from Dialectical Behavior Therapy), watching an engrossing movie, playing a game, or any other type of healthy activity that you find helpful. Plan dedicated daily rumination time. Dr. Nolen-Hoeksema recommended scheduling a dedicated time (e.g., 30 minutes) in the day when you plan to ruminate, an exercise similar to one developed by Dr. Thomas Borkovec for worry. This might sound strange, but the idea is that if you start ruminating or worrying at any other time during the day, it is easier to change course if you think to yourself, “I don’t need to think about this now. I will save it for my designated time later.” In my clinical experience, when people devote time to ruminating in a focused way, they often find that they can’t fill the full time or that they find some resolution at the end of it. This is in contrast to a common pattern of ruminating which involves going in and out of it in a more shallow way of thinking throughout the day while completing other tasks. It is not recommended that you plan your rumination time right before bed, because it could interfere with falling asleep. Try meditation or prayer. Dr. Nolen-Hoeksema conducted community interviews and reported that some people turn their concerns over to a higher power when ruminating, and that this seems to help them gain acceptance and peace about a situation. In particular, some clients that I have worked with find the serenity prayer to be helpful with reducing overthinking. For people who are not religious or who are just looking for an additional healthy coping strategy, she suggests trying meditation and/or mindfulness exercises. If you would like to see what some meditation and mindfulness exercises are like, there are many options on this website. In particular, the last three exercises on that website are designed for finding new ways of relating to your troublesome thoughts. Dr. Nolen-Hoeksema also recommended writing thoughts out in an effort to reduce the thoughts from going around in circles in your head. The key here is to make sure that the writing is leading to a sense of resolve and relief rather than adding a new place for ruminating. If you find that it makes things worse, then it is best to try some of the other strategies in this post. Talk to someone about the problem to try to gain new perspective (just beware of co-rumination (“extensively discussing and revisiting problems, speculating about problems, and focusing on negative feelings”), which can exacerbate the problem. Create positive emotions. Research suggests that creating momentary positive feelings can help people to cope more effectively with their problems. It might seem like this is particularly hard to do when stuck in a rumination cycle. However, if you can find something to add some positive emotions, even briefly, it might help you to look at your problem differently. Some suggestions for this include watching a funny video or book, singing/listening to/dancing to an upbeat song, going somewhere that makes you feel happy, etc. Because it can be hard to remember the options listed above while in a ruminative state, it can be helpful to have a list ready (e.g., on an index card in your wallet, on your phone, on your computer) of healthy coping strategies. That way, if you find yourself ruminating, you can refer to your list for specific suggestions to try during difficult moments. I hope that you find these recommendations helpful for reducing overthinking. However, if you feel that you are stuck or that your rumination is leading to significant distress or impairment in your life (e.g., negatively affecting relationships, work, or school), please seek help from a mental health professional. This article by Dr. Jill Holm Denoma on Psychotherapy Brown Bag‘s website explains how to find a good therapist. In addition, sometimes thoughts and memories can keep returning to people’s minds because of the experience of a traumatic event. This can be quite different than rumination, and I recommend seeking professional help specifically for trauma if that is what you are experiencing.